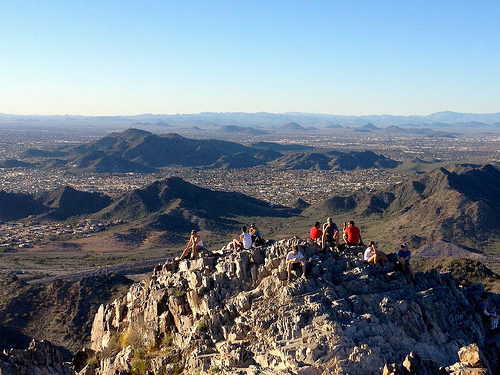 A good sale for nonstop service to and from Phoenix. The regular fare at $187 allows for a normal size carry-on and a personal item in addition to advanced seat assignment. The $127 fare is a Basic Economy fare. 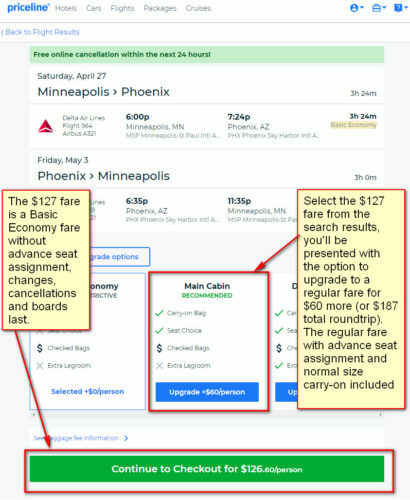 Delta’s Basic Economy fares do not allow for any advanced seat assignment (your seat assignment will be randomly assigned during check-in) and boards last. Valid for travel from late-April 2019 – mid-May 2019. Must purchase at least 21 days in advance of departure. This instructs ITA to search for the Basic Economy fare. 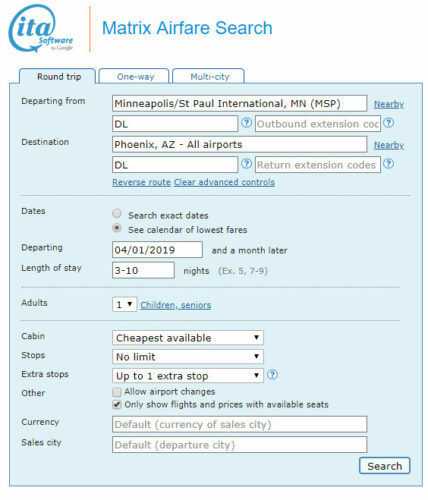 When using the same dates on Priceline, you will be presented with an option to upgrade to a regular economy fare. From the search results, select the basic economy fare at $127, after which you’ll be presented with the option to upgrade to the regular economy fare at $187. The regular economy fare includes advance seat assignment and a normal size carry-on.